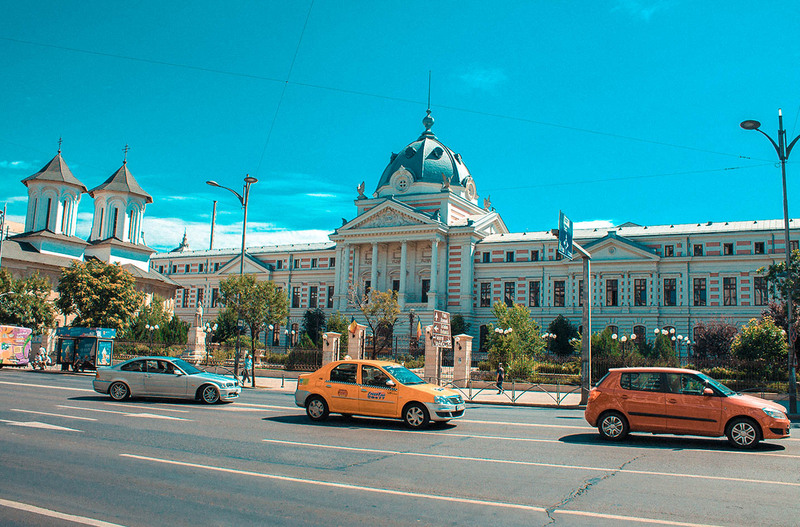 It was such a nice experience visiting Bucharest. 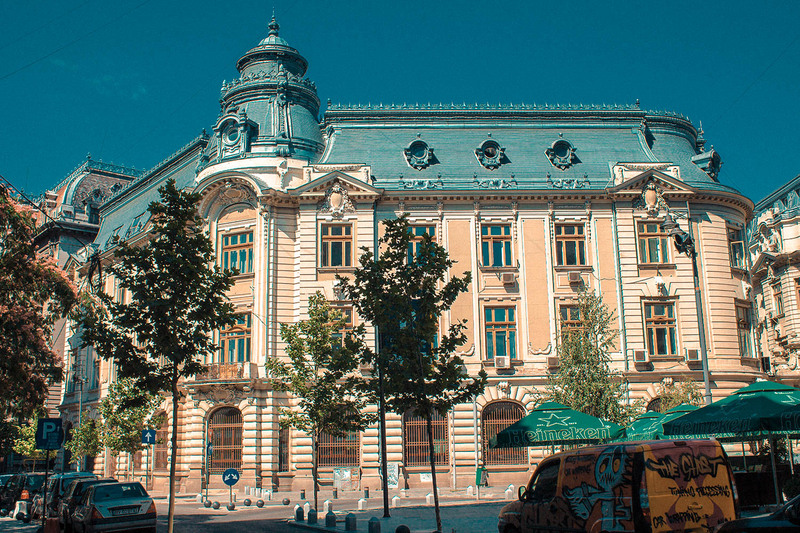 I was very surprised and didn’t expect to jump right into the crazy nightlife (so not me) of this Romanian city, but it was definitely worth it. So let me introduce to you this lovely intriguing city. 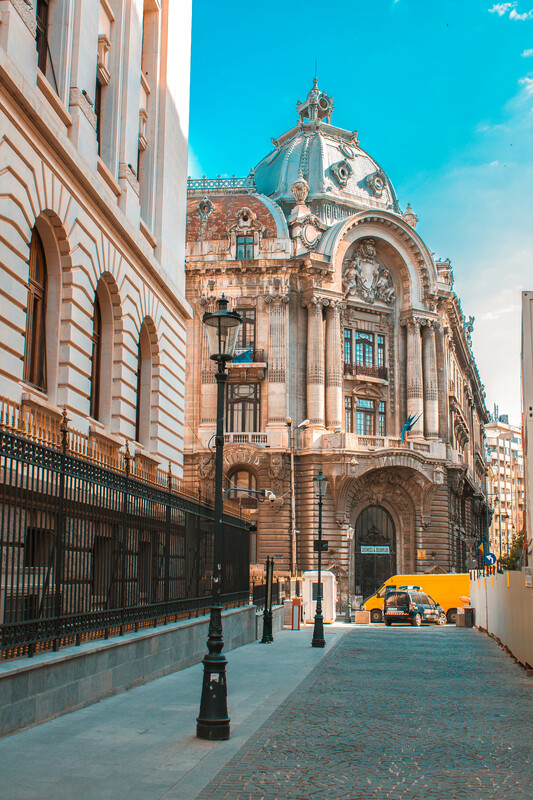 First of all I want to say Bucharest definitely worth visiting. If you wonder should you go, or not, stop wondering and book a ticket. You will be surprised how awesome can it be spending even a day or two there. 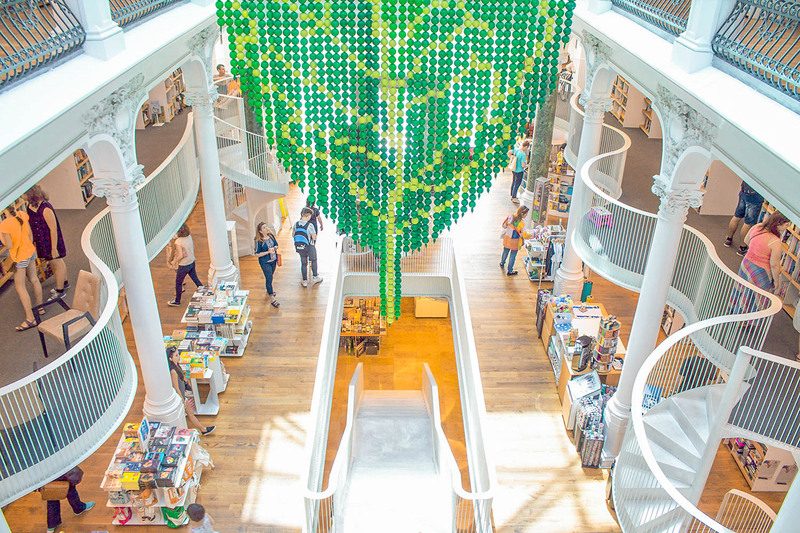 The good news is you can totally spend only one day and see enough from this modern classic city, but if you want to have fun and release any stress at the end of the week one weekend should be more than enough for you. I’m presenting you a list of what can you do while you’re in the city. I’ve done everything in one day with one night stay (of course how can I miss this crazy nightlife) and I wasn’t in rush at all. And if I can, so you can too. 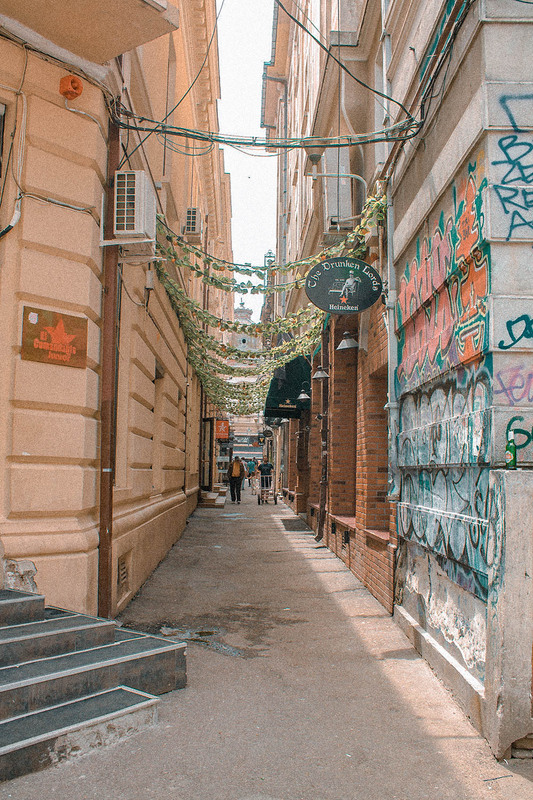 How to get around – Although Bucharest is fairly large (1,900,000 inhabitants), most of the highlights are located in/or near to the Old Town “Lipscani” witch is in the center and are in close distance. So if you want to check most of the highlights and you don’t have much time base your self in the Old Town. There’s a bunch of hotels and hostels you can find there and you can walk from one attraction to the next except the Triumphal Arc. You can also rent a bike or take the metro (we did so for the Triumphal Arc). 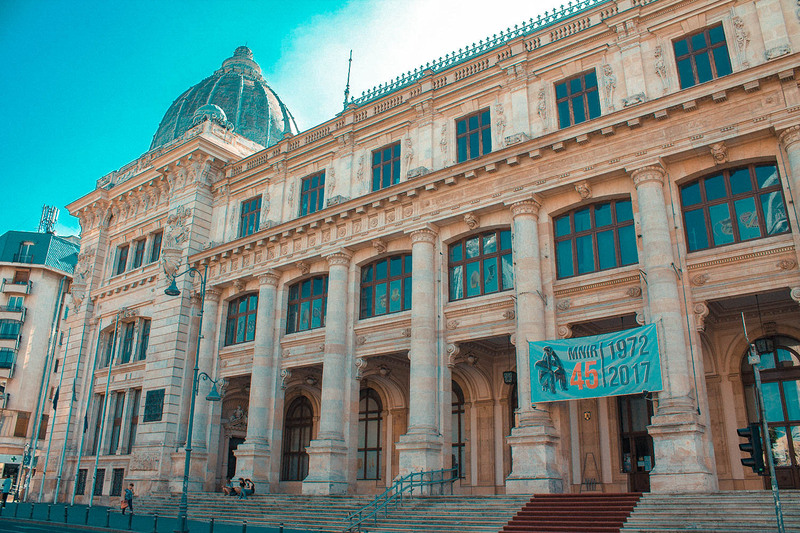 It’s quite cheap and most of the highlights are free – You can see almost everything for free, only the Parliament Building and the National Museum has an entrance fee. Everything else on this list was free. Romania is quite cheap compared to the other European countries. 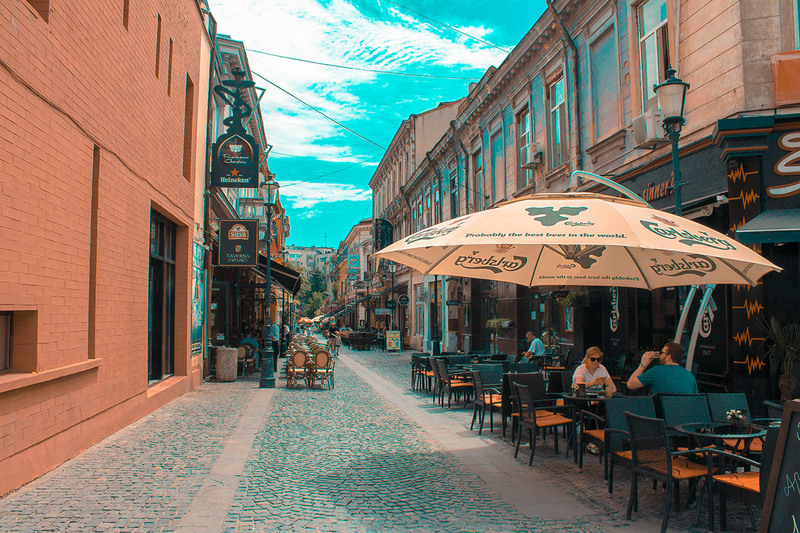 The Old Town or “Lipscani” (after the main street that crosses the area) is located in the center of Bucharest and it’s the heart of the city. It’s popular throughout the world for its nightlife. 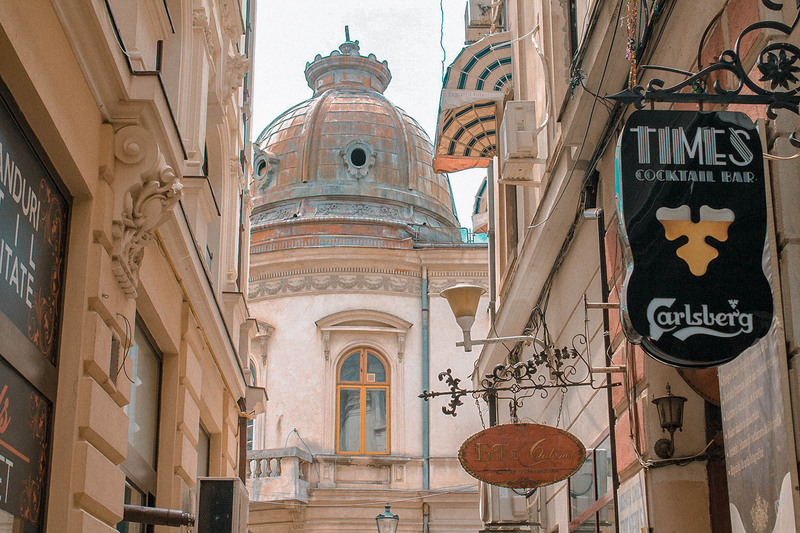 And it’s not so popular with it’s old architectural culture like other historical cities, but more like a backpacker hangout for young and party-loving people, filled with bars, pubs, discos and hip restaurants. Our experience there was unforgettable really. 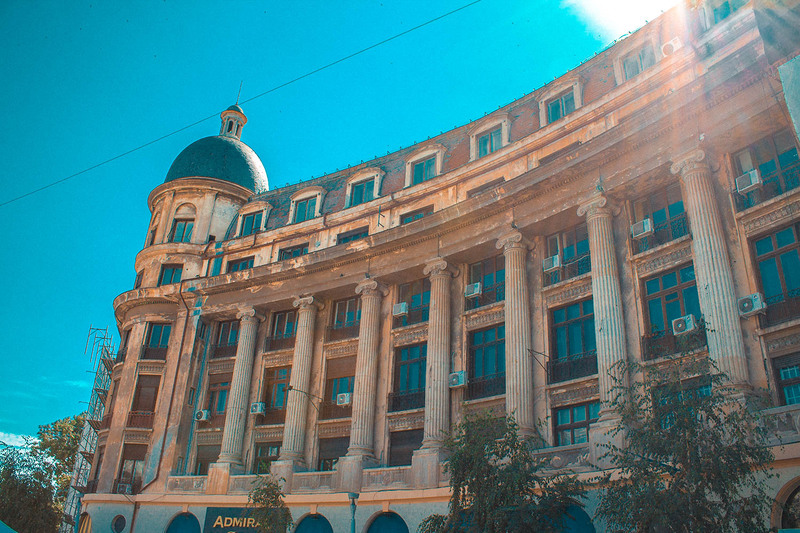 We arrived in Bucharest at Friday night, checked in at the hostel and went out for a walk. We weren’t prepared for what was coming, but it was definitely worth it. When we walked around in the night there’re were so many loud disco bars with almost naked dancers everywhere, so many party people and also countless pubs and cafés. 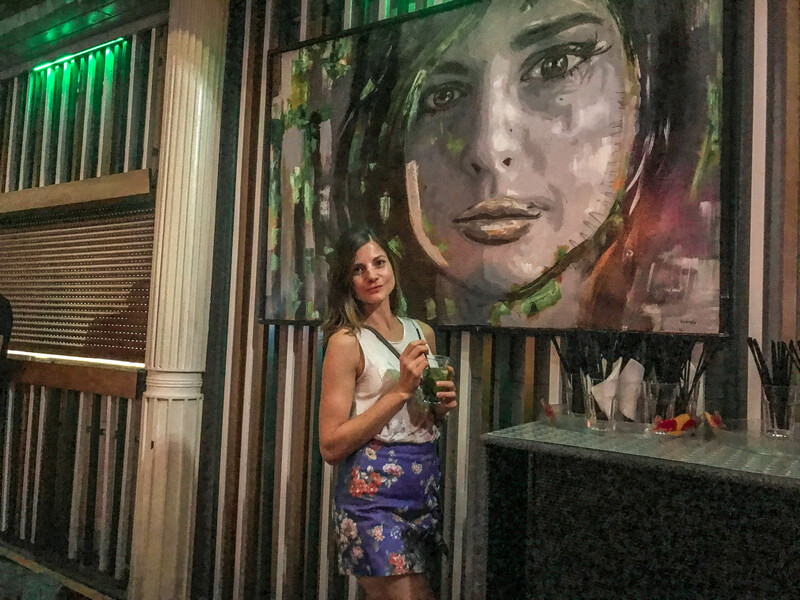 I want to say as I’m a mindful yogi (I swear) I’m not into the nightlife at all and haven’t went out to the disco or bar for I don’t know how long, maybe since New Year’s Eve, but it was really hard to stay calm and keep breathing there. So there was nothing else to do except partying like animals and so we did. Such an epic night. 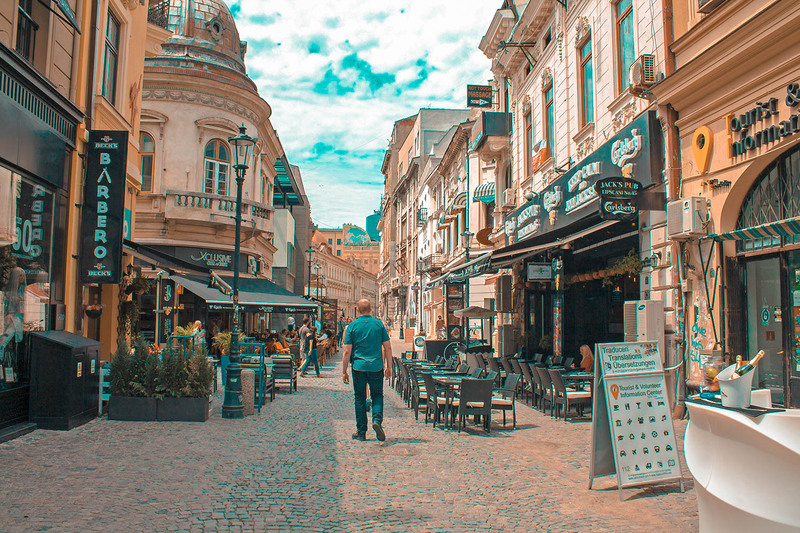 The historic architecture, old buildings like churches and outdoor cafés make the Old Town a most vibrant area of Bucharest. And even if you’re not there for jumping right into the nightlife (like we did) it’s still totally worth visiting in the daytime. 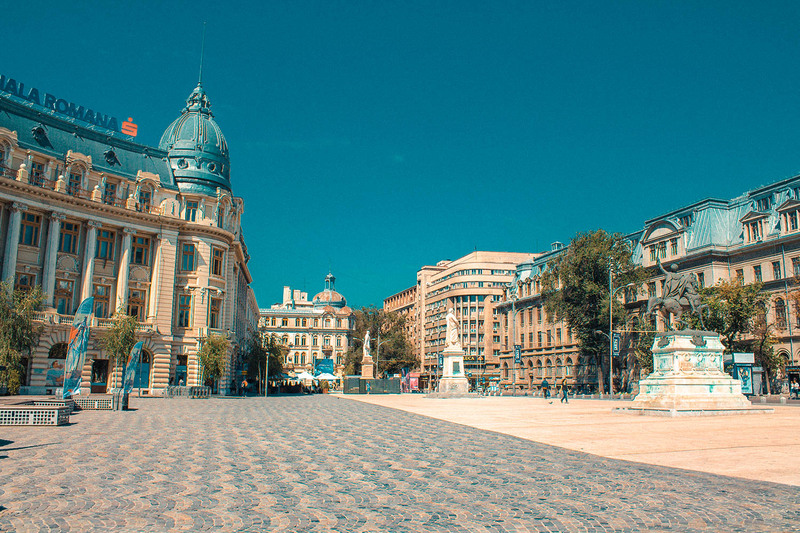 Joining a free walking tour is a great idea to discover the city without spending any money. 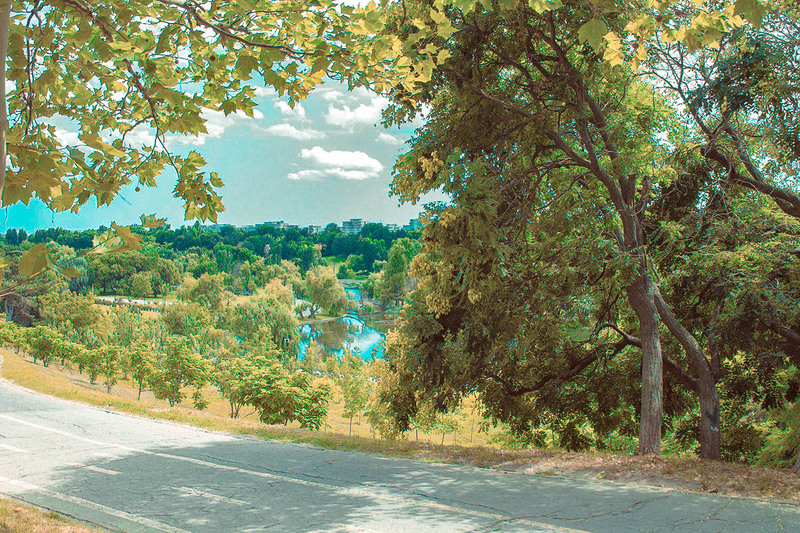 This option is provided by locals and is a brilliant way to be acquainted with a new town. 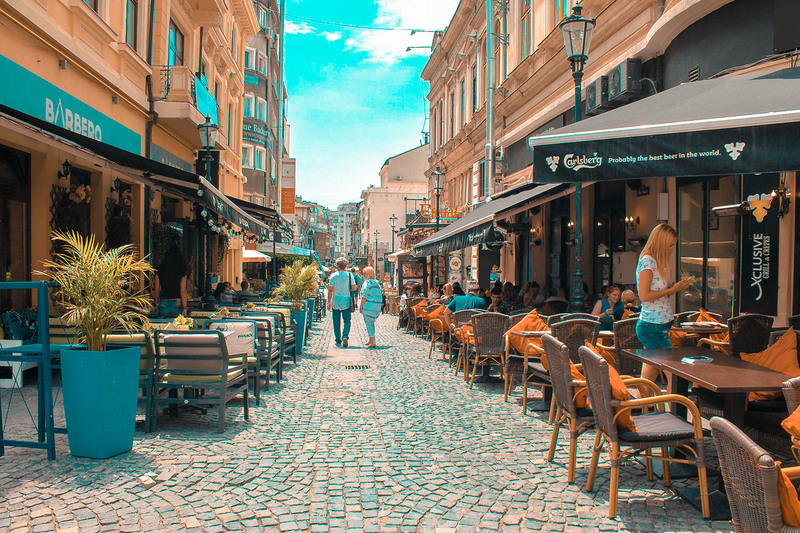 If you love to explore around and get lost alone (for good) it’s ok, but you will see so much more – hidden gems, restaurant tips and etc. – when you’re with a local. The best thing about the walking tours is that they’re free although the guides accept donations if you’re able to. 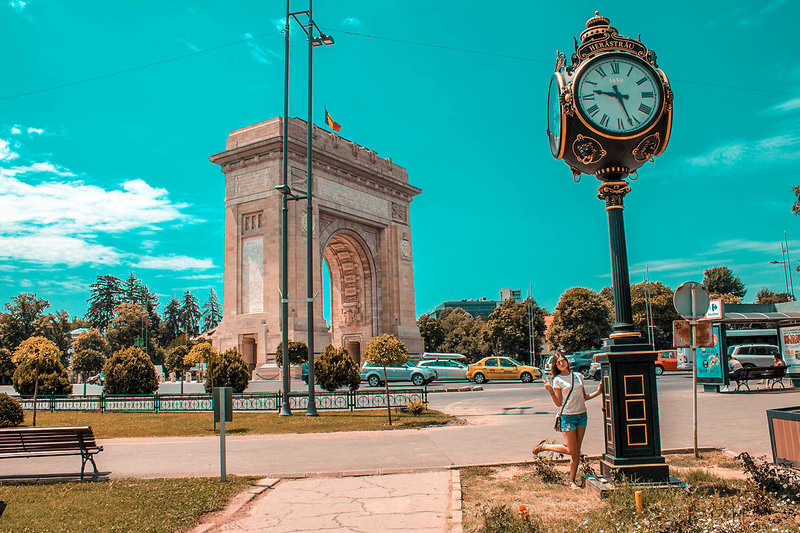 Yes, Bucharest has it’s on triumphal arc named “Arcul de Triumf” . 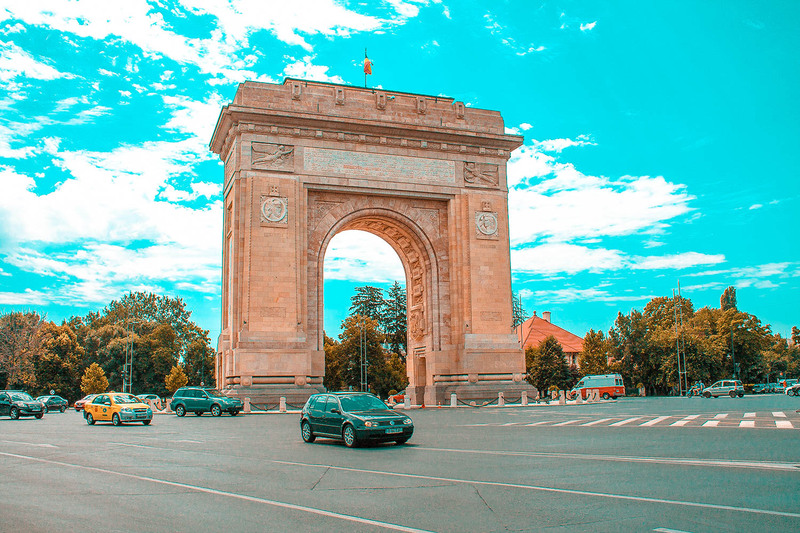 The current arch has a height of 27 metres.was inaugurated in 1922 to celebrate the victory of Romania in World War I, and today it’s one of the most notable landmarks of the capital. The top floor is sometimes open for public visitors but it’s placed in the middle of the road, so it’s kind a hard to get ner it. 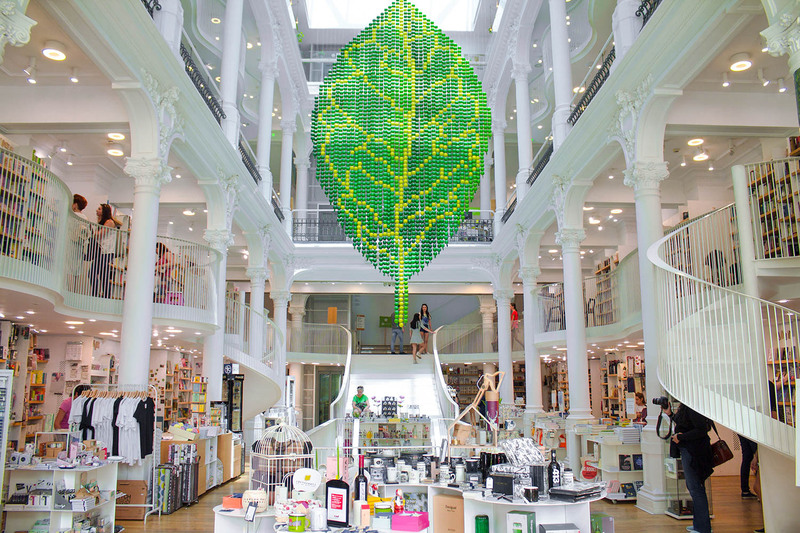 If you’re in a mood for architecture and walks, head to University Square. It’s only 5 minutes walk from the Old Town. 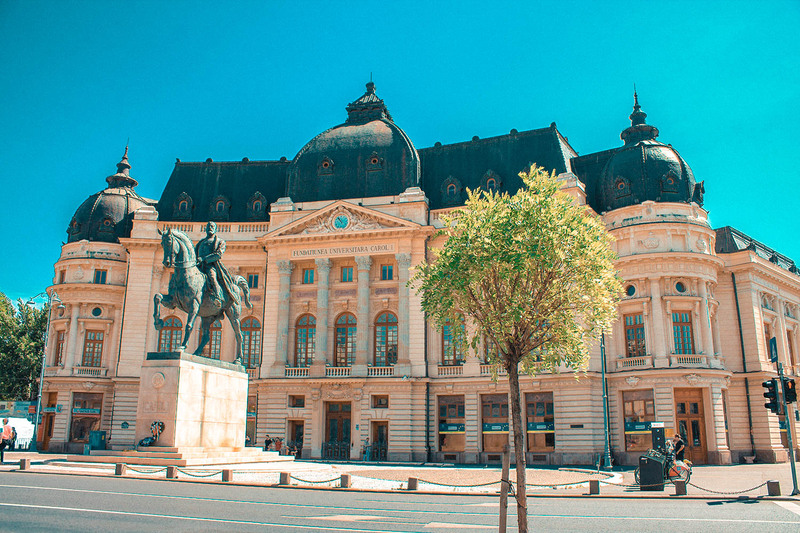 You can find different remarkable architectural highlights on the four corners of the University Square, like the Bucharest National Theatre, the University of Bucharest’s School of Architecture, , the neoclassical Coltea Hospital and church and the Bucharest History Museum. 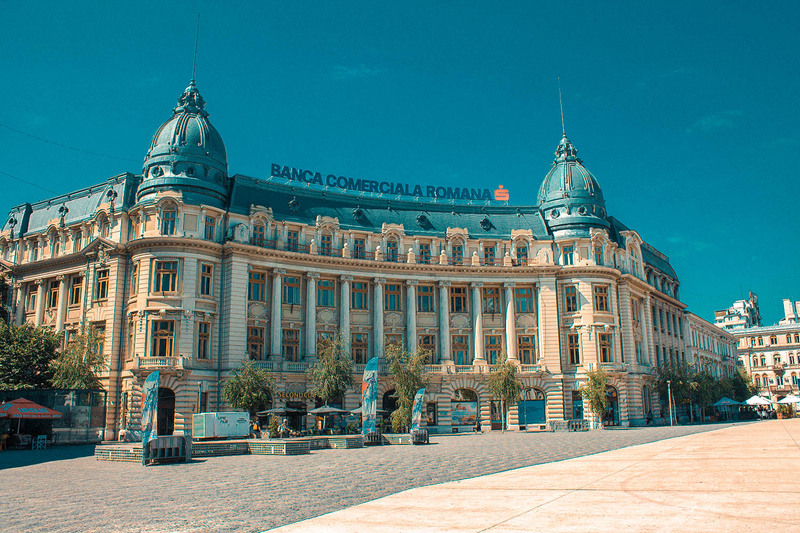 The National Bank of Romania is located in the Old Town and it’s a great example of the amazing architecture you can see upon when walking the streets. 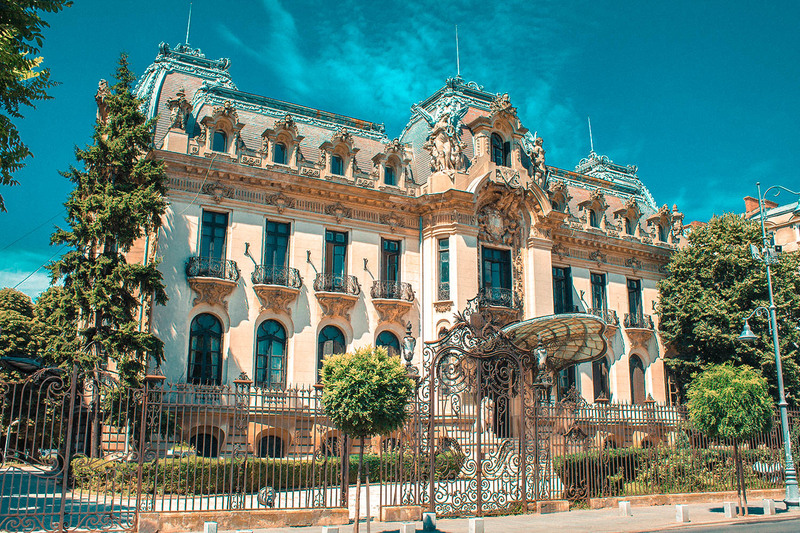 It’s built in neoclassical French style with Corinthian columns and an enormous central banking hall. If you have time, walk by and check it. 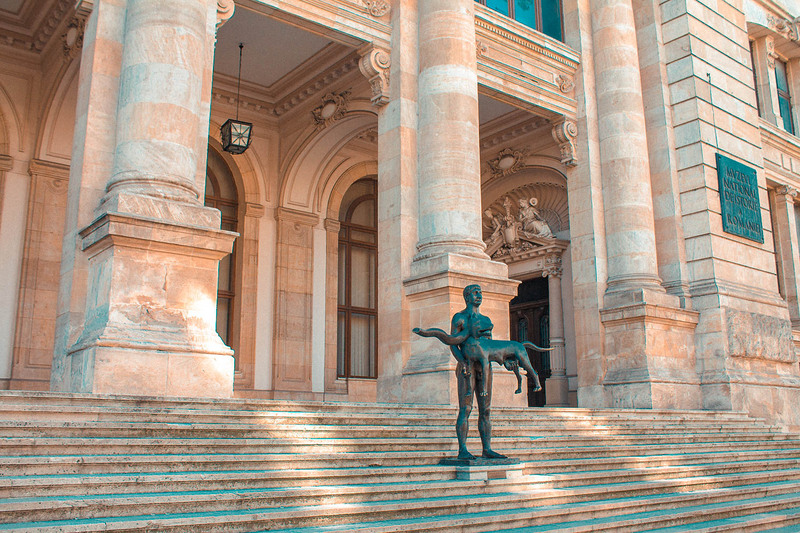 If you’re interested in art, the National Museum of Arts is a must-see for you. 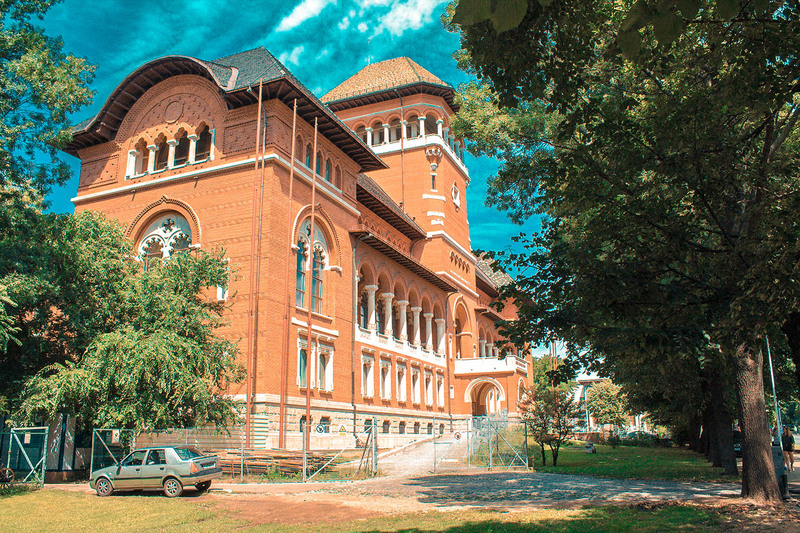 The museum currently exhibits over 100,000 works divided into two major sections. 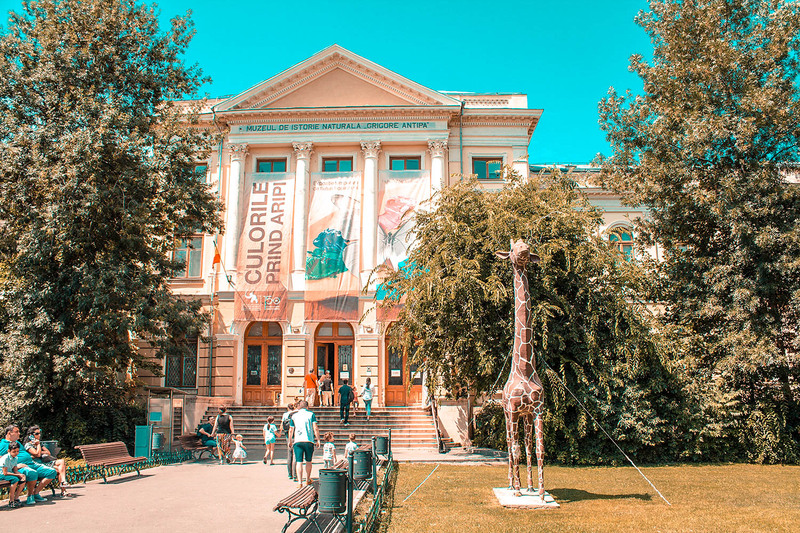 Its National Gallery features the works of major Romanian artists, including Grigorescu, Aman and Andreescu. The European Gallery, comprising some 15 rooms, displays little-known art gems from the likes of El Greco, Monet, Rembrandt, Renoir, Breughels (father and son) Cezanne and Rubens. 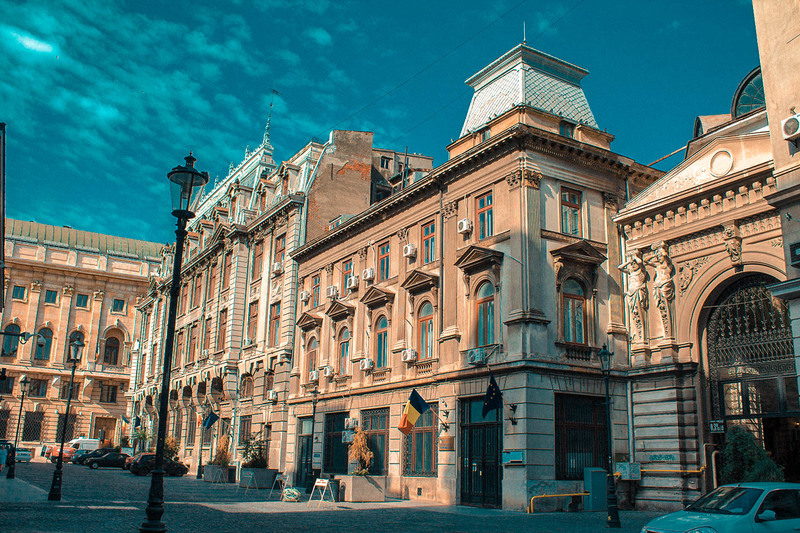 Victory Square is a major intersection in central Bucharest, where six of the main boulevards (like Calea Victoriei – Bucharest’s oldest and arguably, most charming street) cross. It is known for its proximity to major office towers and government buildings. 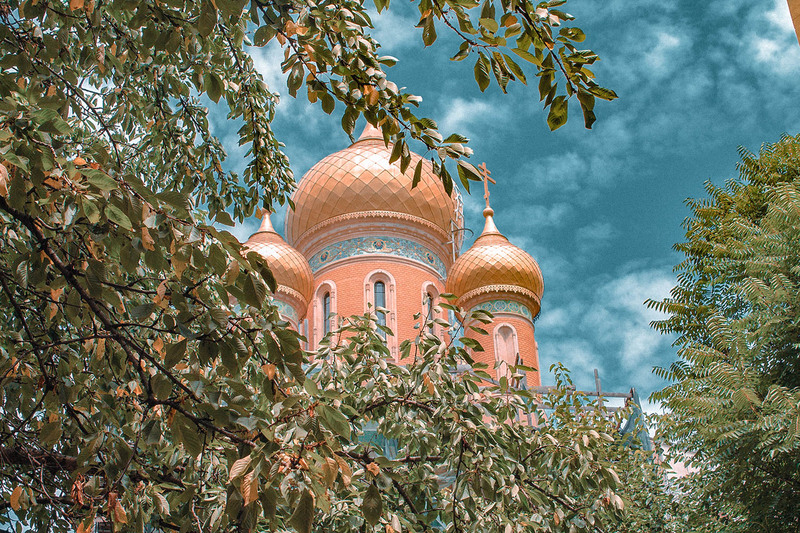 These lovely Russian Church is so pretty, colorful and charming. It’s built in 1909 by the Russian King Nicholas II for 600,000 gold rubles. It has a wooden, gold-gilded iconostases allegedly modeled after the altar in the “Archangelsky Cathedral” in Moscow. 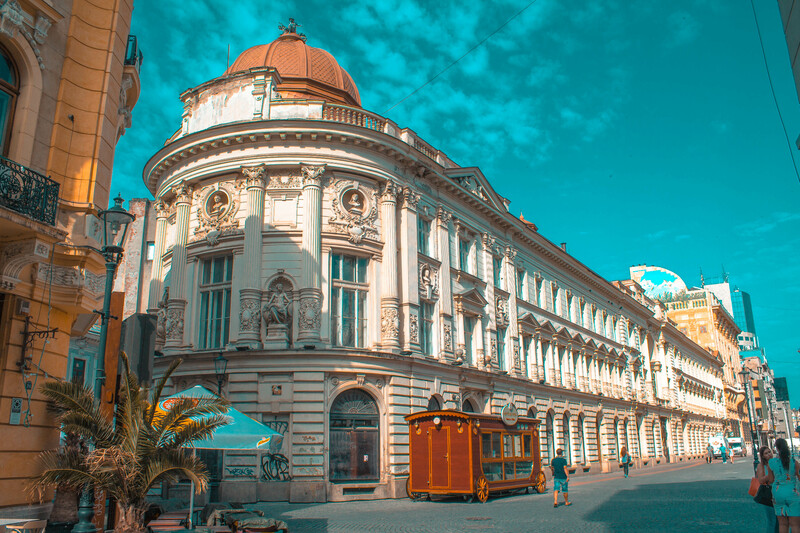 It’s situated in the Old Town, so if you’re situated there you should definitely check it. 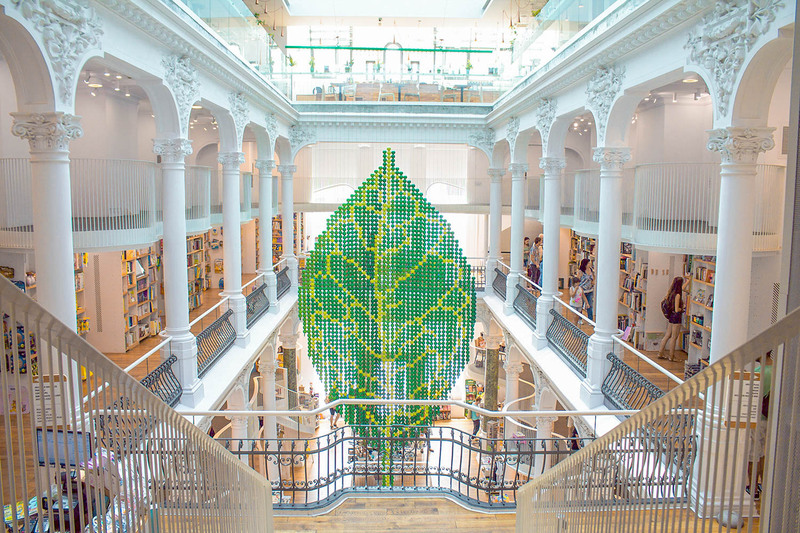 This gorgeous bookstore might be a little strange attraction to highlight, but it’s so lovely and it’s classical interior attracts many visitors. 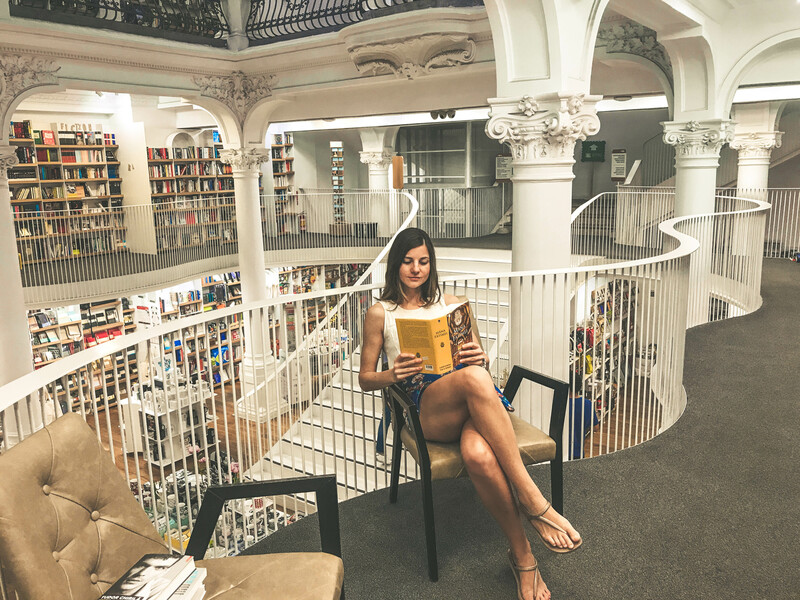 Not just because it’s located inside a beautifully restored 19th century building and has free WiFi. On the top floor there’s a nice bistro that invites you to relax with a book and a glass of wine. Entrance fee: 30 lei/$9+ photo fee. You need to show your passport to enter. 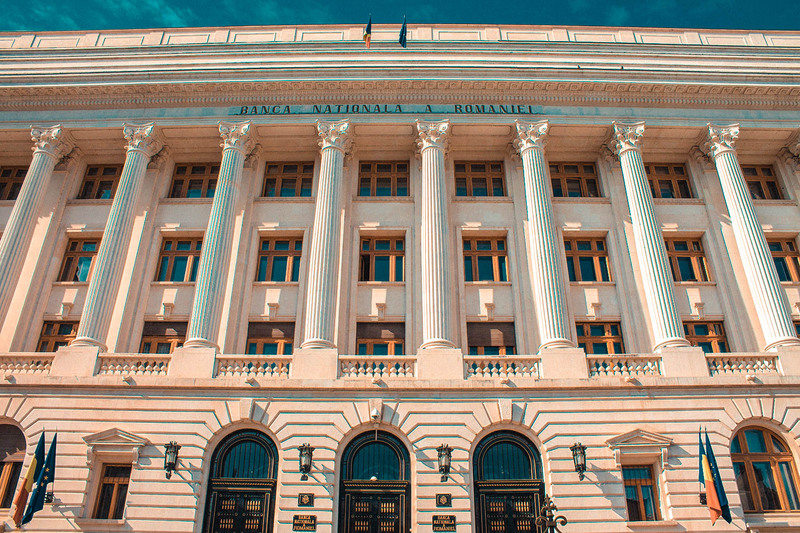 The Palace of Parliament is the largest and heaviest administrative building on the planet used for civilian purposes, and also the second largest administrative building overall, after the Pentagon. 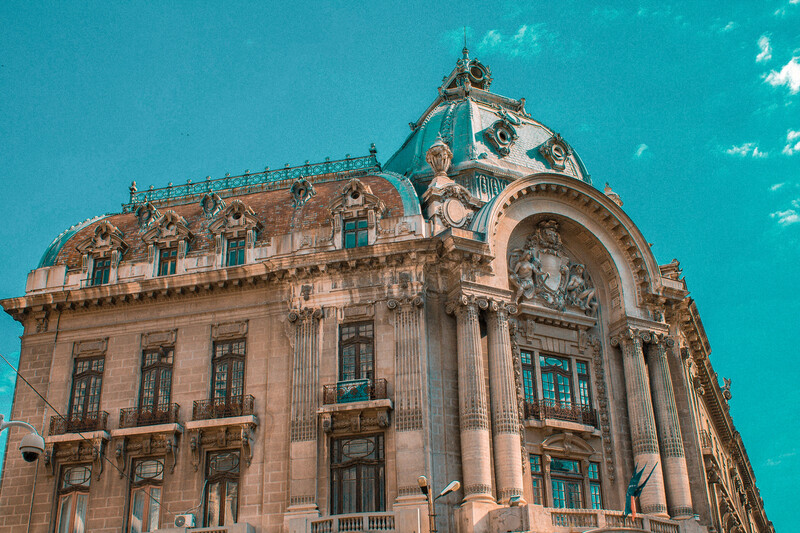 Also known as the “People’s House”, for the Romanian people, it’s also a constant reminder of the Communist regime under dictator Nicolae Ceaușescu who commissioned this monstrous building and crippled the country’s economy with its extravagance. 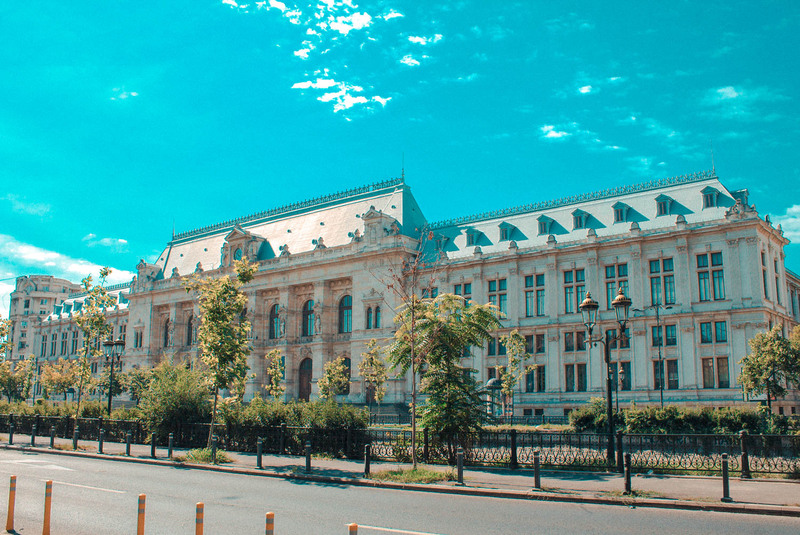 Currently, this imposing building houses the Romanian Senate and the Romanian Chamber of Deputies, and it is also the headquarters of the Southeast European Cooperation Initiative. 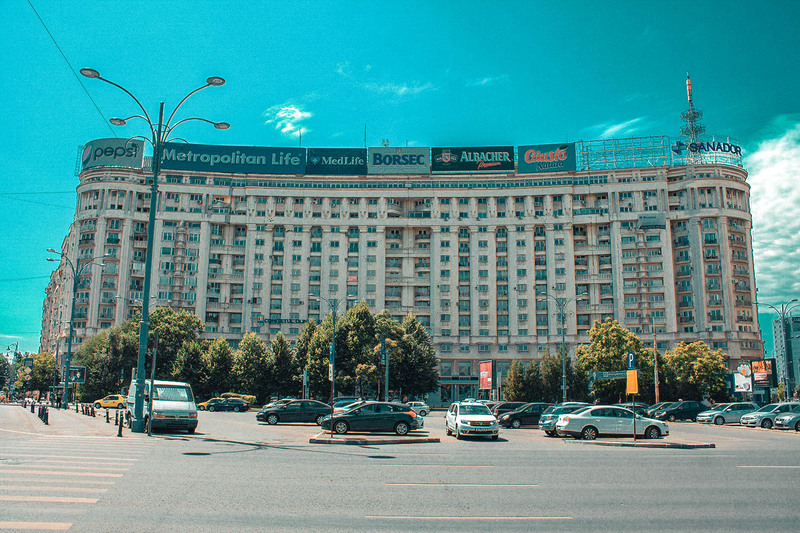 It took 5 years, 20,000 workers and 700 architects to build this masive structure that boasts 12 stories, 1,100 rooms, a 350-ft.-long lobby and eight underground levels, including an enormous nuclear bunker. 1. The Palace of the Parliament is visible from the Moon – The Great Wall of China and the Pentagon aren’t the only constructions in the world made by man that can be seen from the Moon. 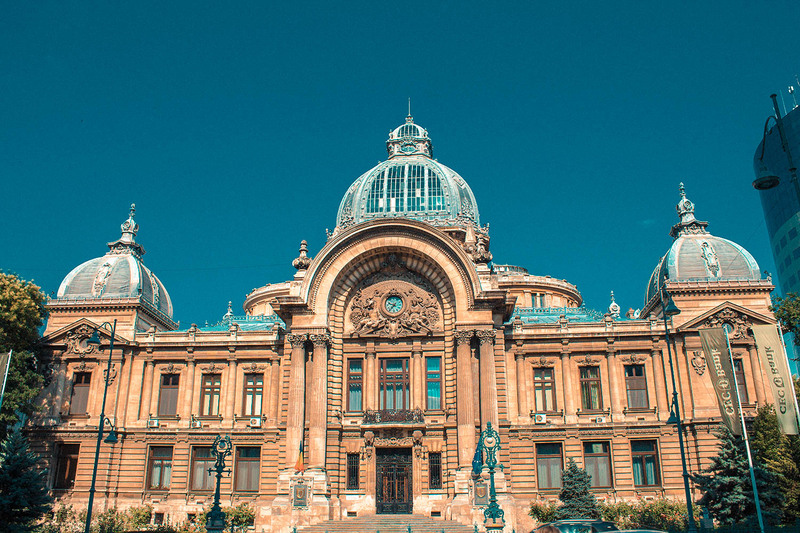 The Palace of the Parliament is also one of these unique and impressive constructions. 2. 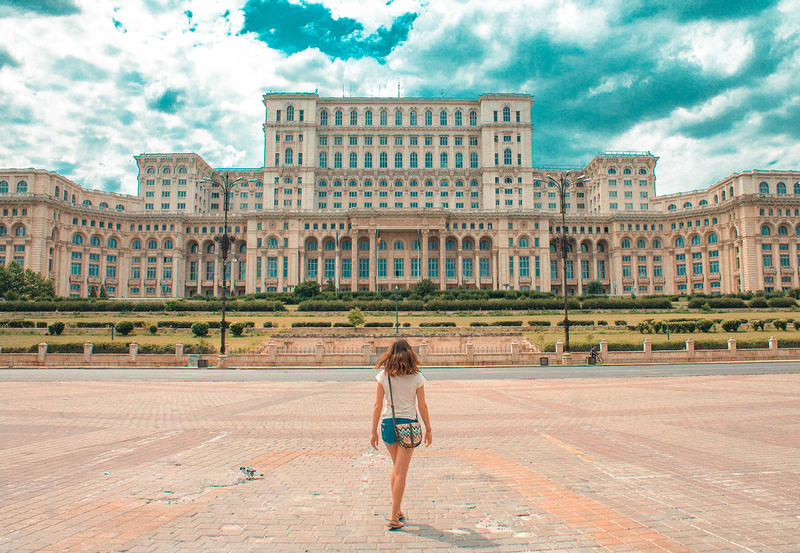 It’s bigger than Cheops’ Pyramid – Cheops’ Pyramid from Egypt has a 2.550.000 m³ capacity which is pretty huge for a building, but, believe it or not, the Romanian Palace of the Parliament is bigger with 2%. 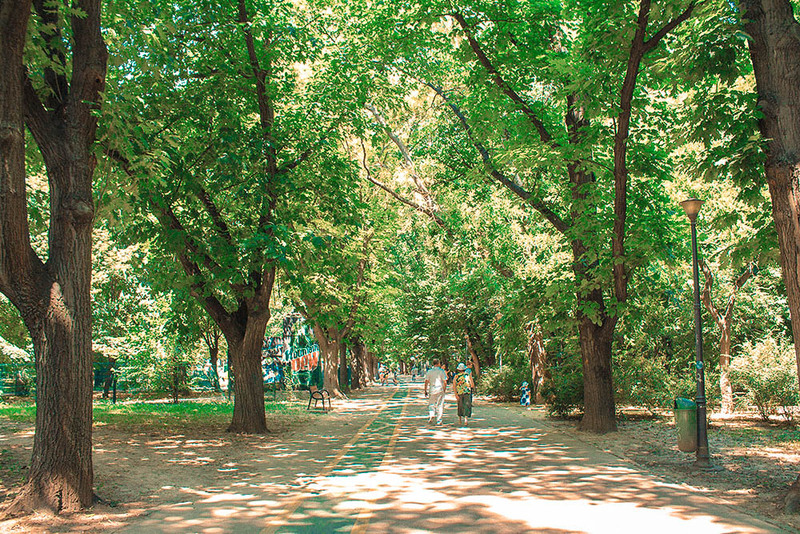 Except amazing historic architectural grey buildings, Bucharest is blessed with some fantastic parks. 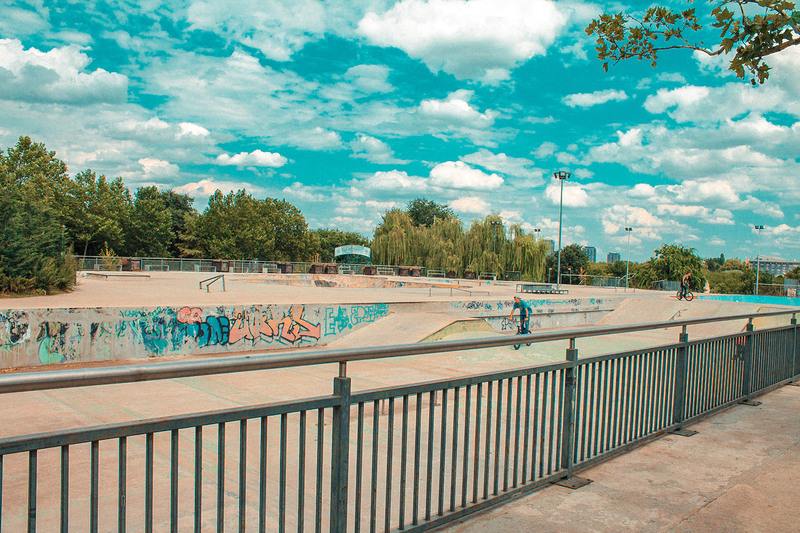 Indeed, so much has been invested in them in recent years (especially in playgrounds for kids and recreational facilities) that they are quickly becoming one of the city’s biggest attractions. 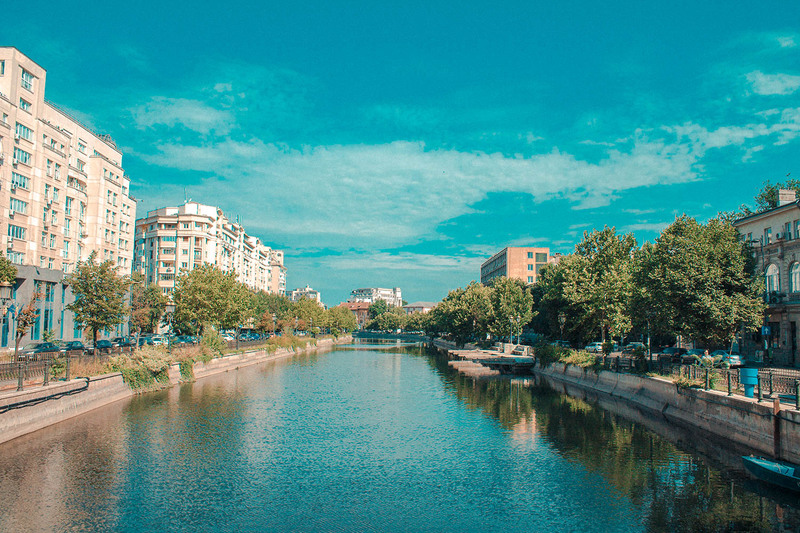 Although Bucharest is not the greenest European capital, the city hosts some large parks where you can relax, refresh during summer, and have fun with your loved ones. 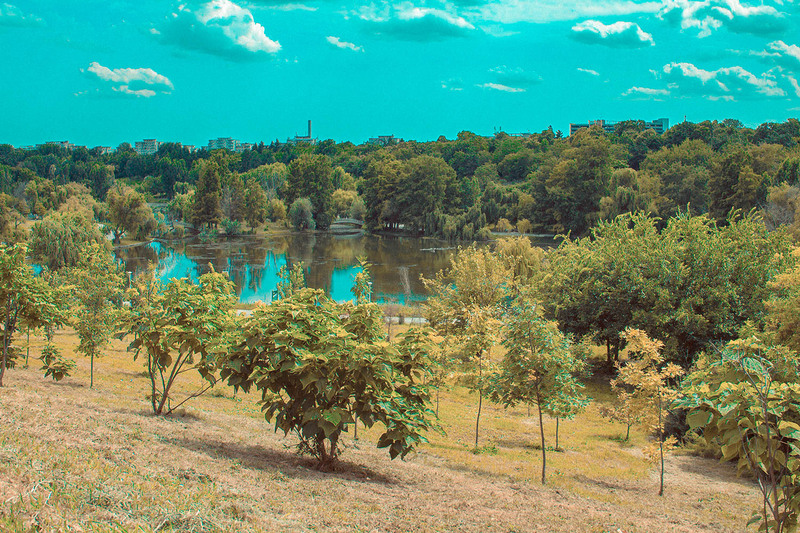 Herastrau, Tineretului and Cismigiu are the best-known parks in Bucharest, but there are many other smaller parks you can visit. You can find more a list here. 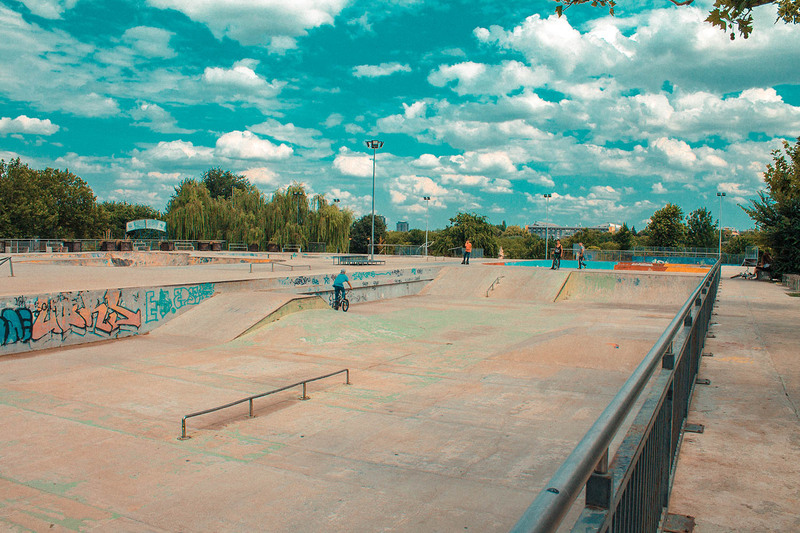 They’re also few skate parks, where you can ride your board, if you’d love to.